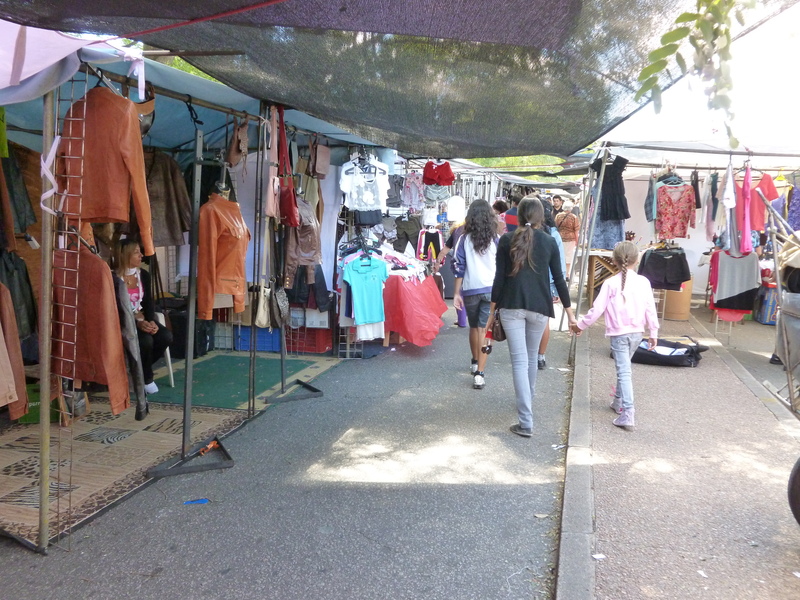 Every Sunday there is a huge flea market in Parque Rodo from 10 am to 3 pm. 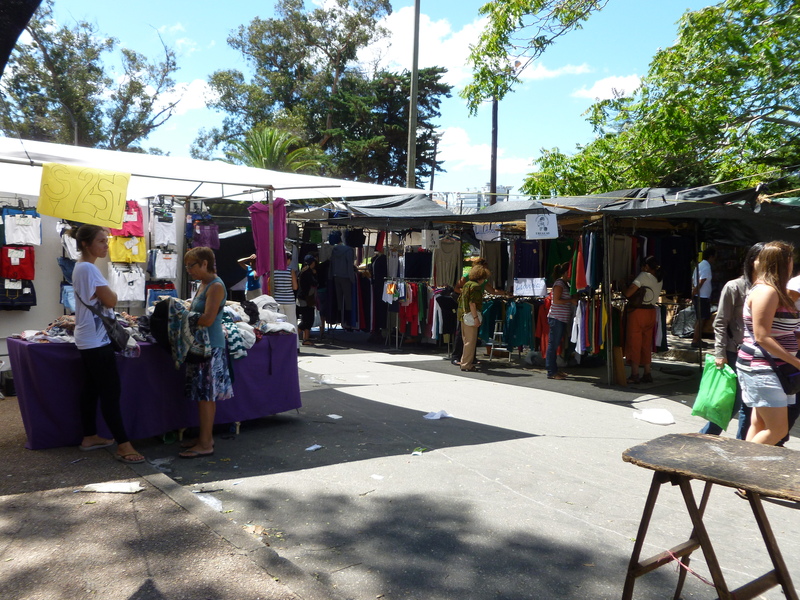 There are more than a hundred stalls where vendors sell everything. I do mean everything. There were the standard knick-knacks, but there were also clothes, underwear, shoes, art, frames, incense, spices, plants, video games, lamp shades, jewelry, and flowers for sale. All the vendors set up right next to each other and formed aisles the width of about three people. It seemed that vendors got together to drape tarps over their stands and the aisles, maybe in case it rained. Matt bought a maté gourd and bombilla (look for details in a future post)! We finally met Maria’s daughter (Maria is our neighbor). She was selling stuff at the market and called out to us to say hello, asking if we lived on Gaboto street. It was nice to finally meet her. There wasn’t any food at this market except for the “carritos”, or food trucks which had lines upwards of 20 people deep. They sell hamburgers, sausages, and hot dogs along with drinks (More about carritos in another post). Men walk around with carts yelling “helados”, obviously to great effect because every time I hear them I really want some ice cream! 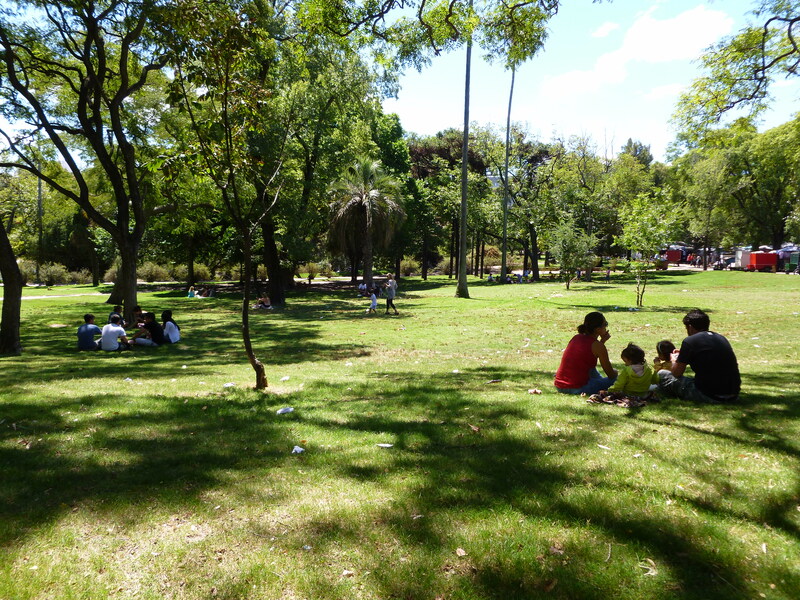 There were lots of people walking around the park and sitting in the grass enjoying their maté. There were paddle boats for rent at the little lake in the center of the park and a sign saying “Biblioteca” (translated as library) pointed toward a building that looked like a long-defunct castle. 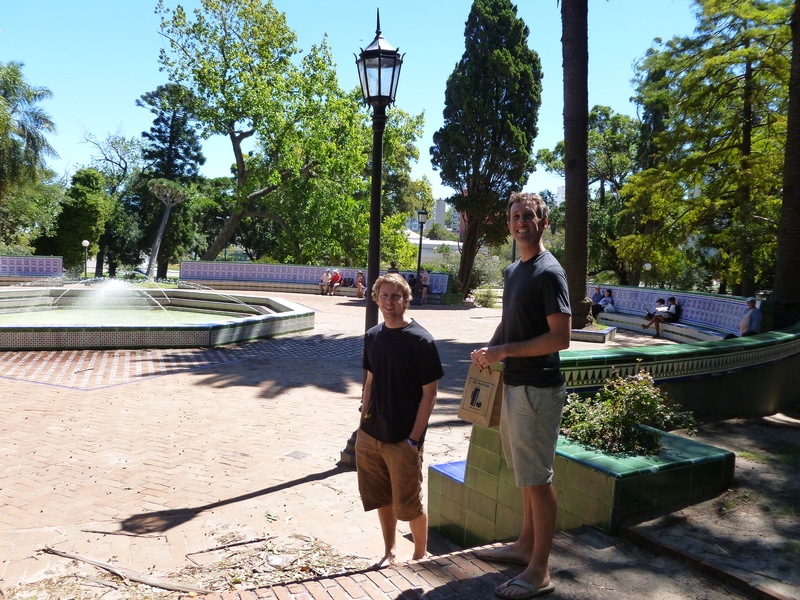 There is also a nice little fountain with benches in the middle of the park that is well worth some future lounging. 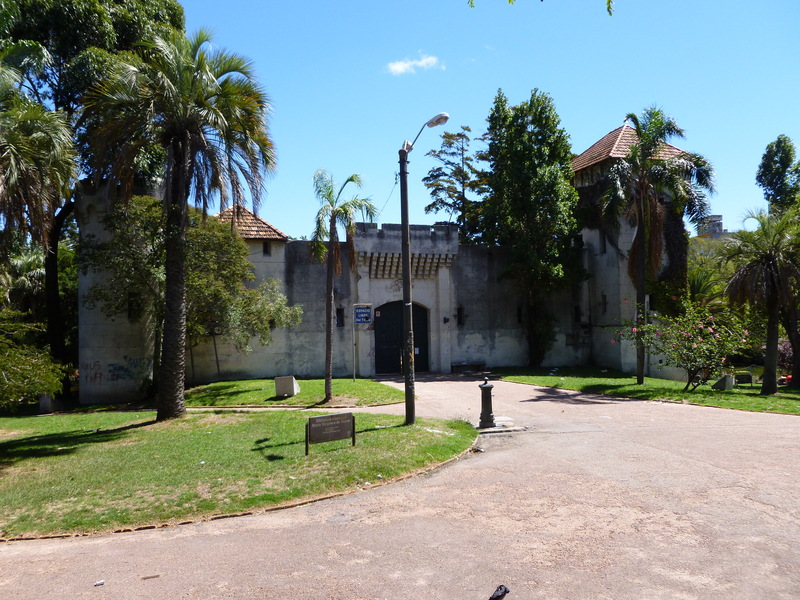 This entry was posted in Food, Things To Do and tagged carritos, clothes, flea market, fountain, library, paddle boats, parque rodo by mlwattsupp. Bookmark the permalink. If you think this one has everything, wait until you go to the Tristan Narvaja one downtown (also on Sundays)!